Guts is one of those casinos that has really made a splash in the UK market for the last year, and it seems like they’re just getting started. To get their players to stick around, the world class casino has prepared weekly bonuses that can boost your action with extra bonuses and spins! Friday Feelin’: The friday bonus spins promotion is quite straightforward. Simply deposit £10 or more with the bonus code GUTSSPIN during Fridays to get 10 bonus spins on one of the games of the week. The best part is that the spins are completely wagering free, so you’ll get to keep whatever you win! Jackpot Weekends: On Saturdays and Sundays, Guts will match any jackpot you win, up to a maximum £200. So if you go for one of those lower jackpots that triggers quite frequently, that’s potentially a really nice extra win credited to your account. Certain restrictions apply, so check out the terms and conditions on the promotion page before playing. 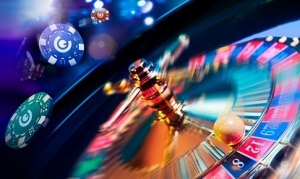 Generous Monday: Play live roulette every Monday, and get rewarded when you go on a hot streak. If you win three times in a row, Guts will credit your account with £30 in cash! You just need to cover less than 70% of the wheel on single numbers. This promotion is time limited, so check out the promo page for the full details and terms. Blackjack Wednesday: Wednesdays are blackjack days at Guts, as you can put some extra cash into your pockets when lady luck is on your side. Play on any of the selected NetEnt live blackjack tables, and get £30 in cash if you get three blackjacks during the day. Read more about this offer, and all of the other promotions, by clicking on the link to Guts.